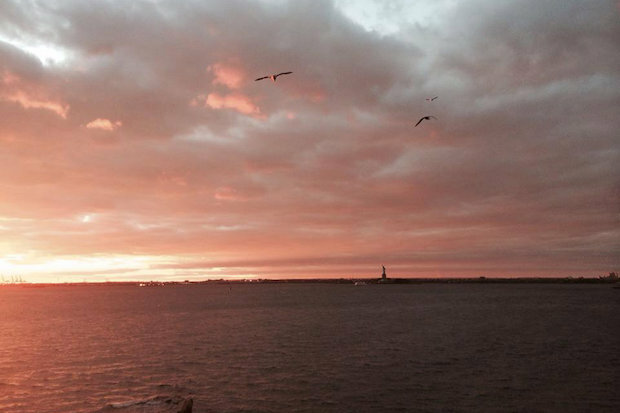 RED HOOK — You don't need to work in a high-rise to get sweeping city views. SHARED Brooklyn, a communal office space that opened in Red Hook this week, offers vistas of the Manhattan skyline, the Statue of Liberty and the waterfront. Owner Allison Reeves built the 3,000-square-foot workspace on the second floor of a decades-old warehouse at 185 Van Dyke St., using elements of the original building to create a "green, sustainable workspace," she said. Reeves' husband, Michael Prettyman, designed and built the space's 16 desks, using reclaimed wood. The space also features four small offices, a lounge, a kitchen and wireless Internet, as well as copying, scanning and printing facilities. A conference room is available to members and can also be rented by the hour. Reeves plans to add a reference library and will also have tools and materials available to borrow. SHARED Brooklyn is seeking “creative professionals who want to collaborate and work in a community environment,” Reeves, who lives in Red Hook, said in an email. Memberships range from $225 to $475 per month for a part-time seat, a full-time seat or a dedicated desk. Private offices are priced at $900 per month and day passes cost $30. SHARED Brooklyn also offers a $175 discount off of memberships for those who want to be on duty at the space for one day a week. For more information visit this website or email sharedbrooklyn@gmail.com.